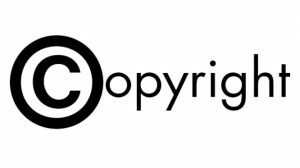 When A Copyright Holder Dies: What Happens To The Copyright? There are many different things that might be protected by a copyright, and the person who files it is the legal owner of the material. However, many people wonder what happens to the copyright once the person has passed away. The answer varies a little based on a few factors. But, you should know that it absolutely does not become public domain! Generally speaking in the US today the copyright is still in effect for 70 years after the author passes away. However, this has not always been the case. Over time the laws regarding materials that have been copyrighted have begun to recognize it as a tangible asset to the extent that is possible. While these things were once lumped in with service-based contracts, that is no longer the case. Just like other pieces of property, copyrights can be given to beneficiaries. The law allows people to reassign and redistribute copyrights as a part of estate planning. However, copyright holders don’t have to retain possession of the copyright. They can be legally transferred, usually via a licensing agreement, giving another party ownership of the material. This implies only certain rights being given over. On the other hand, an assignment will transfer unconditional rights to the new party. Interestingly enough, there are some instances where several decades after the creation that the transfer can be terminated by the author or their heirs. These rules regarding copyright holders regard authors and similar artists rather than corporations who are bound by a completely different set of legal protocol. However, if you are interested in understanding the law for yourself or are studying up for a friend, this information should give you a good start. Keep in mind that materials created prior to the early 1970’s might not have the same protection that newer works do. Before making any decision regarding copyrighted materials, find out when it was written and any other pertinent information regarding it, including publishers and dates. The law has evolved to help protect the creative properties of authors and their works. Doing so not only allows them greater control over how the works might be used over time but also ensures that any royalties from the works go to the person or people that they want to receive it. Continue learning more about this fascinating aspect of the law and the world of publishing!